UNDATED - In high school soccer, the Rapid City Stevens girls advanced further into the playoffs as they defeated Sioux Falls Lincoln 1-0 Saturday. Lexi Wood scored what became the only and winning goal for the Lady Raiders. That came in the third minute. Stevens moves on to the semfinals and will play third seeded Yankton, who defeated Rapid City Central 2-1. Pierre will play Sioux Falls O'Gorman in the other semfinal. 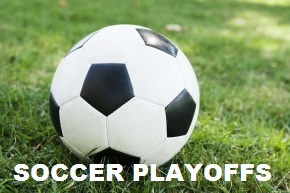 Pierre beat Roosevelt 4-1 and O'Gorman edged Brandon Valley 1-0. In boys Class AA Scores, fourth seeded Rapid City Central beat Sioux Falls O'Gorman 1-0 to advance to the semifinals. Garrett Cole scored the winning goal for the Cobblers in the first half. Central will play Aberdeen Central, who beat Sioux Falls Roosevelt 3-2. Spearfish also advanced to the semifinals with a 2-1 victory over Brandon Valley. The win came in a shootout, where the Spartans won. Spearfish will play second seeded Washington, who beat Rapid City Stevens 2-0. In Class A action, Tea will face Sioux Falls Christian in the boys championship. Tea shutout Vermillion 2-0 Saturday in the semifinals and Christian edged St Thomas More 2-1. In Class A girls, Tea advanced to the championship with a 4-0 shutout of Vermillion. They will play West Central, who advanced by beating Sioux Falls Christian 4-1.